Any of these four cards can be used to make 0% interest purchases. If you don’t have any of these cards, you can apply for a Gem Visa. If Approved you can start interest free shopping today. * Weekly payment amount excludes Gem Visa $99 annual fee. Monthly payments required, exact payment amount varies and is specified on your statement. ^ Total price includes $99 annual fee on Gem Visa, charged after your first purchase and each anniversary date. Approved customers only. 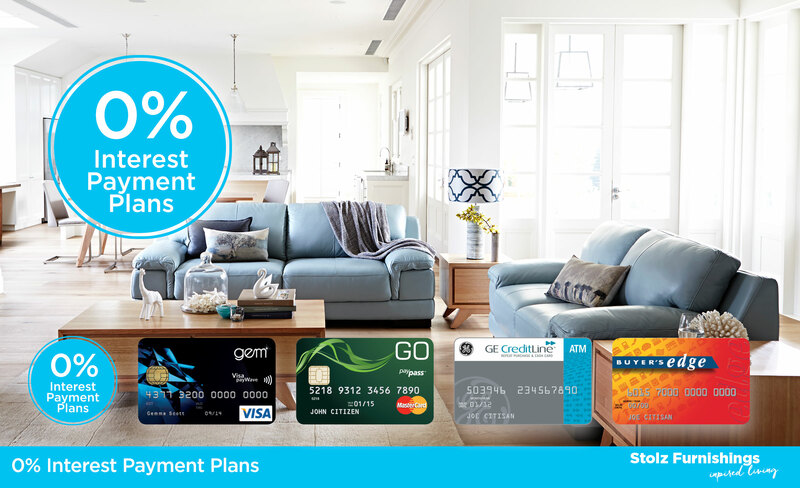 At the end of the plan, interest will be charged at 22.99%. A $99 annual fee applies for Gem Visa. This notice is given under the Gem Visa Conditions of Use (as applicable), which specify all other conditions for this offer. Also available to GE CreditLine, GO MasterCard and Buyer’s Edge customers. Other conditions, fees and charges apply, see product websites for details. Credit is provided by GE Capital Finance Australia (ABC 42 008 583 588). Australian Credit License number 392145, trading as GE Money.